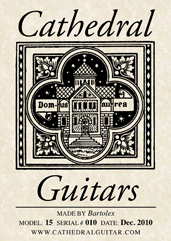 For Late 1950s Gibson Archtop/Electrics!!! 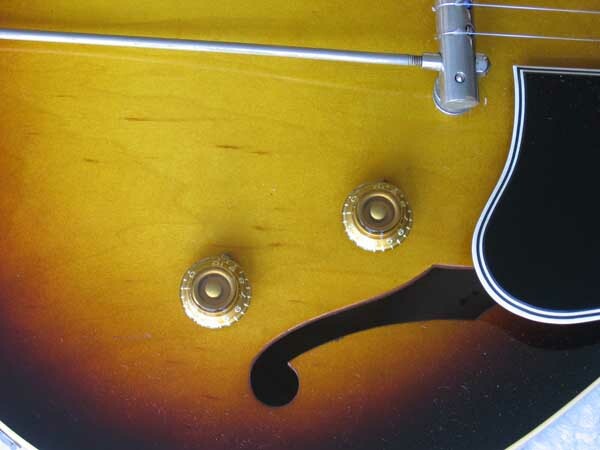 Up for consideration are 2x vintage 1959 Gibson amber Top Hat knobs for late 1950s Gibson archtops, thinlines and electrics. This fully intact matched pair was recently removed from an all-original 1959 Gibson ES-225 guitar that was purchased several years for $3,500 from Gruhn Guitars (see the last photo for the knobs on the original guitar). These vintage knobs are still in excellent condition despite being 55 years old. 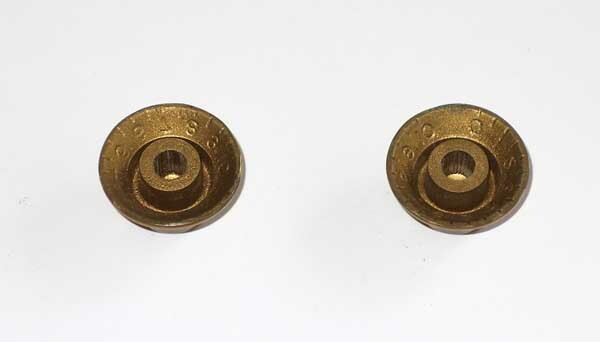 Since vintage 1959 Gibson knob sets in excellent condition are pretty rare, this may be just the thing for a 1959 or a late 50s / early 1960s Gibson guitar restoration project, vintage knob upgrade, or a direct replacement for a damaged or broken knob. Additional Hi-Resolution 1270 DPI photos of these knobs are HERE. 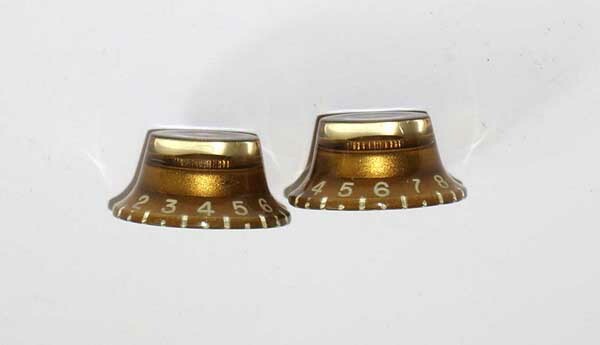 This vintage Gibson knob set is in excellent condition with excellent shaft structure and clean faces, with almost no noticable nicks/scratches or other signs of wear to either the top hat or the numbers. Both knobs are very nice and the amber is still very clear, with no cloudy patches as you sometimes see from vintage plastic, and there are no cracks or imperfections. Shaft structure is nicely intact, which insures excellent turning action without slipping or stripping.  USA Insured Priority Mail shipping is $5.00, and I do accept PayPal. Thanks for looking. Please ask questions before bidding. Satisfaction Guaranteed -- 3-day return. 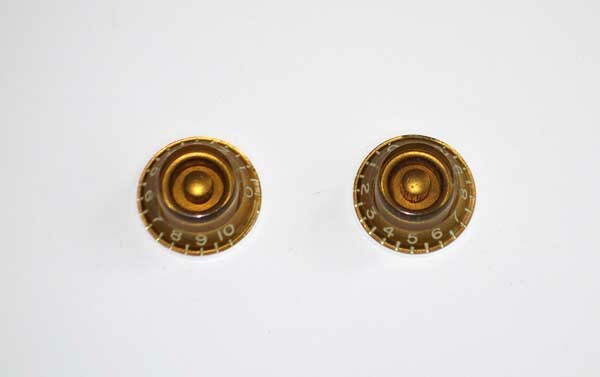 This auction is for one 1959 Gibson Vintage Knob Set, containing the 2 knobs photographed here. No other accessories are included. PLEASE CHECK OUT my 1956 Gibson Es-225 and several 10-String Guitars for sale in Current eBay Auctions, and also see some of my other vintage Gibson Guitars & Parts that have Recently Sold on eBay.